The SMC are very pleased to announce that Sandra Feil has been selected as our new Membership Registrar. For those who have been around for a little while Sandra was Treasurer for the very successful Tonimbuk Tom Quilty event. 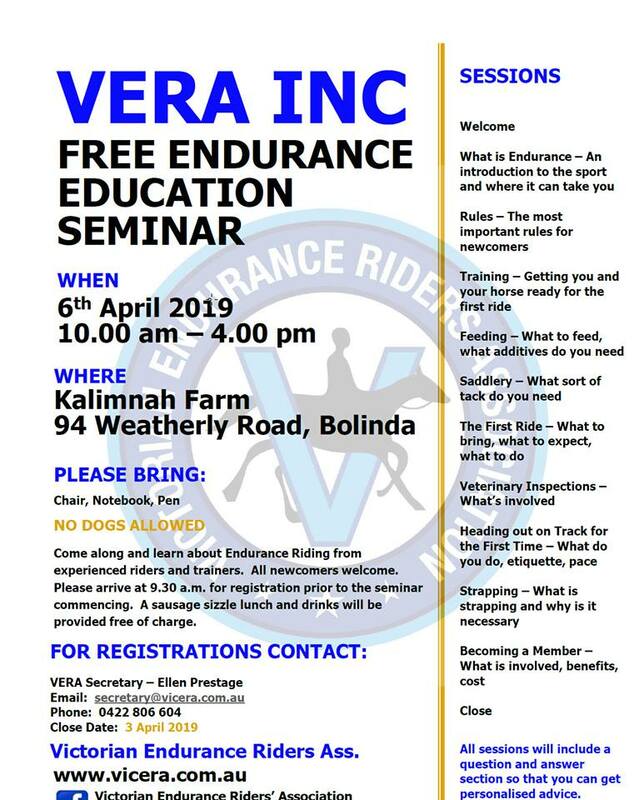 Sandra and her daughter Caley have been involved in endurance for many years and Sandra’s granddaughter is going to make her endurance debut in the 5km event at Lancefield this coming weekend. We had 4 high quality applications from members and would like to thank each of those applicants for their willingness to contribute and support our sport as well as our members by volunteering their time. Sandra will go through a short training period to get up to speed with the requirements of the role and a further announcement will be made once she is ready to take on membership activities. Please continue to direct any questions or applications to Kerrie in the short term. The SMC would like to remind our Day Members of the incentive program we have available if you wish to convert to a membership rather than continuing to pay the Day Membership fee each ride. If a Day Member submits a Membership Application within 30 days of attending a ride and paying the day membership fee the new member will receive a $30 credit on the membership fee. Note that this is only applicable to new members and is not available to those with a previous VERA membership number. On the Membership Application form there is a checkbox which can be ticked if you wish to take advantage of this offer and then attach a copy of the vet card/log book as proof of attendance as a day member.